BB-8 is about to meet its dark side. The breakout droid star from "Star Wars: The Force Awakens" is in for quite an adventure in the upcoming sequel, "Star Wars: The Last Jedi." That is, if a new toy from robotics company Sphero is any indication. 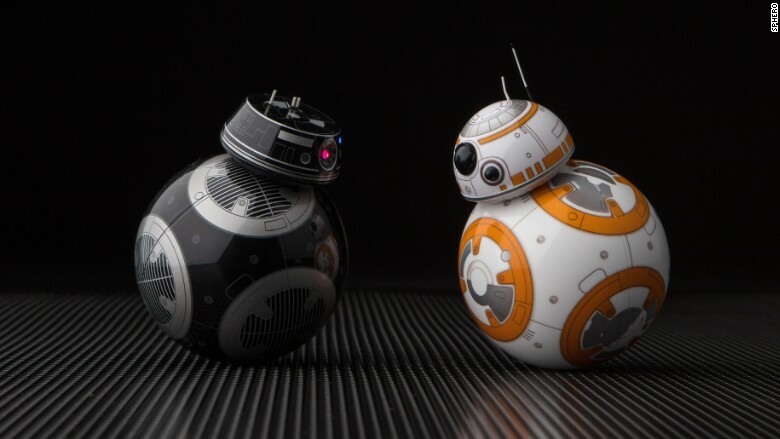 Sphero showed off on Thursday a first look at BB-9E -- BB-8's evil twin. In stark contrast to BB-8's cheery white and orange exterior, BB-9E's body is a menacing black and gray. The company worked with Disney, owner of the "Star Wars" franchise, to develop a mini toy version that realistically brings the movie character to life. The film is set to debut on December 15. In 'The Last Jedi,' good droid BB-8 will meet its dark side in a new droid character, BB-9E. "We saw some imagery and [learned] how it sounds and behaves in the movie," said Sphero CEO Paul Berberian. 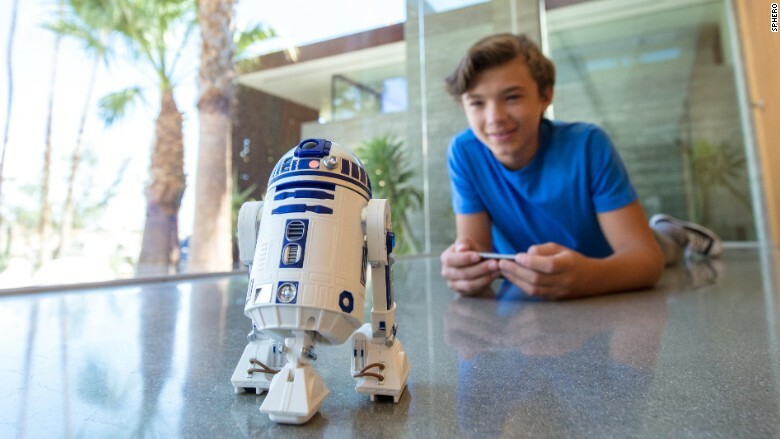 The Boulder-based startup -- whose partnership with Disney began through a tech mentoring program -- created a robotic toy version of BB-8 in 2015, which sold more than million units. Like the BB-8 toy, BB-9E is also a 4.4-inch app-controlled robot. It has the same ball-shaped body that moves without wheels. It comes with a magnetically-attached head. It features blue and red lights that illuminate when the head is attached to the body. "This is clever engineering," said Berberian. "The lights are powered through induction when the head is connected to the body." BB-9E features 40 sounds and nine commands controlled via the app such as "patrol," "run away" and "look around." Meanwhile, Sphero's draw-and-drive function -- first created for BB-8 -- lets you program BB-9E to follow any pattern you draw via the app. After putting the toy on a base, you can explore the different ships of the "Star Wars" galaxy through an augmented reality experience on your mobile device. 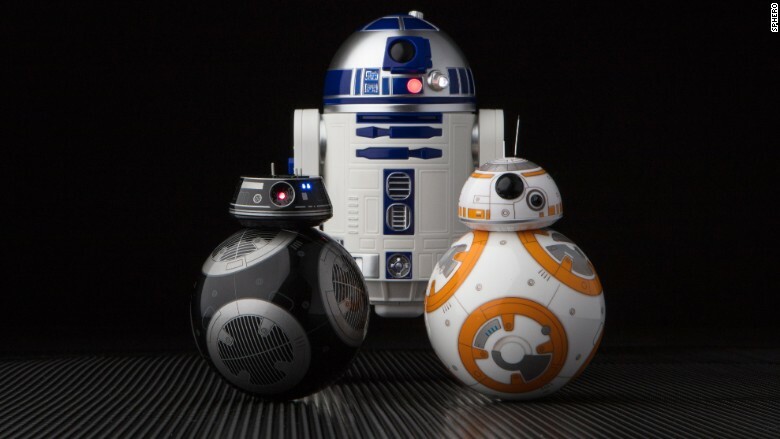 The BB-9E toy ($149) will go on sale midnight Friday, along with a mini robotic version of R2-D2 ($179). Toys and other merchandise tied to new movie will go on sale Friday after midnight -- an event that has been dubbed Force Friday. For inspiration, Berberian said the company purchased every R2-D2 toy it could find and found "not one could behave and move as the character did in the movie." But Sphero's R2-D2 design can pull a third leg up into its body, waddle and fall down and play dead, just like the character in the movie. "We want to think of [our products] as droids come to life; not just toys," Berberian said. BB-9E and R2D2 hit stores this week on Friday. 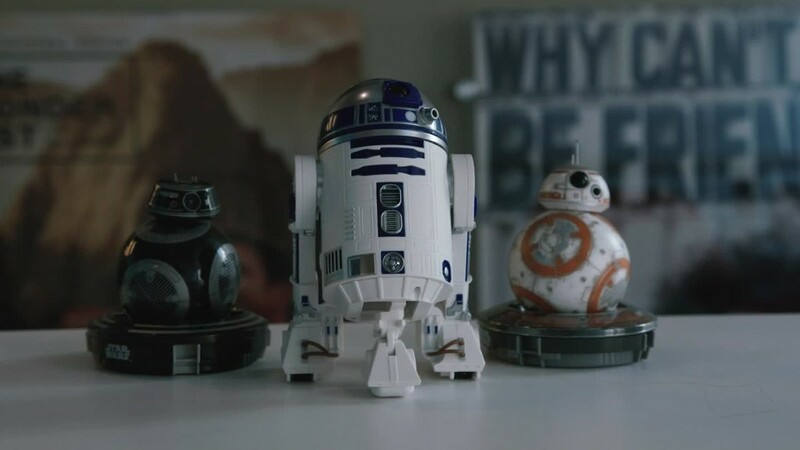 The BB-8, BB-9E and R2-D2 toys are designed to interact with the movie itself. When the film is playing, the droids make noise and interact with each other. "Through sound, BB-9E shows it is happy when the bad guys win and BB-8 becomes sad," he said. This isn't the first time Sphero has worked closely with Disney. In 2014, the startup participated in a three-month Disney accelerator. During that time, Sphero was handpicked by Disney CEO Bob Iger to make the toy version of BB-8. Sphero was already working on the next iteration of its app-controlled robotic ball, which closely resembled BB-8. The Sphero ball was the company's first product, and it sold 800,000 units. But the company said it will be a producing a much smaller quantity of BB-9E. "We're not going to be able to make any more, even if there's a lot of demand for it," said Berberian, adding that the move was a deliberate decision. "Typically good characters tend to be more popular than evil ones," he said. "We're [also] not making as many because we want to keep the mystique of [BB-9E]."